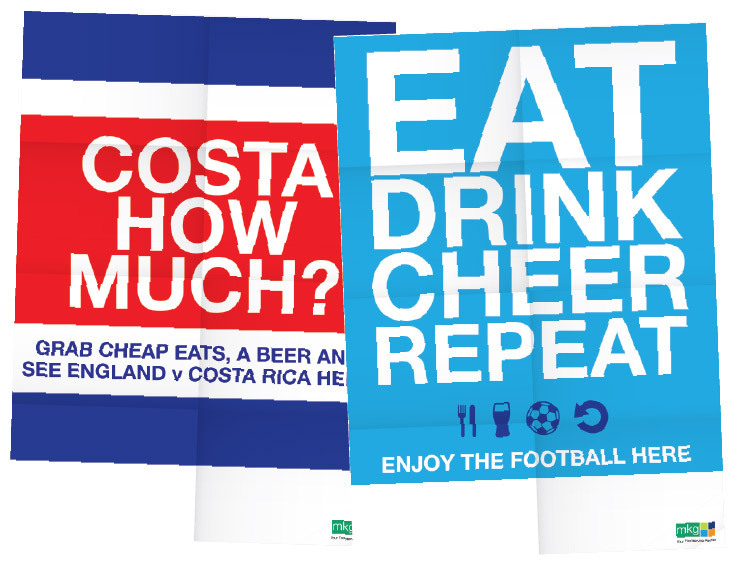 We’re big football fans here at Awemous so the chance to do some work about the World Cup was very exciting. MKG have a lot of pubs as customers and knew that the tournament represented a big opportunity for them. 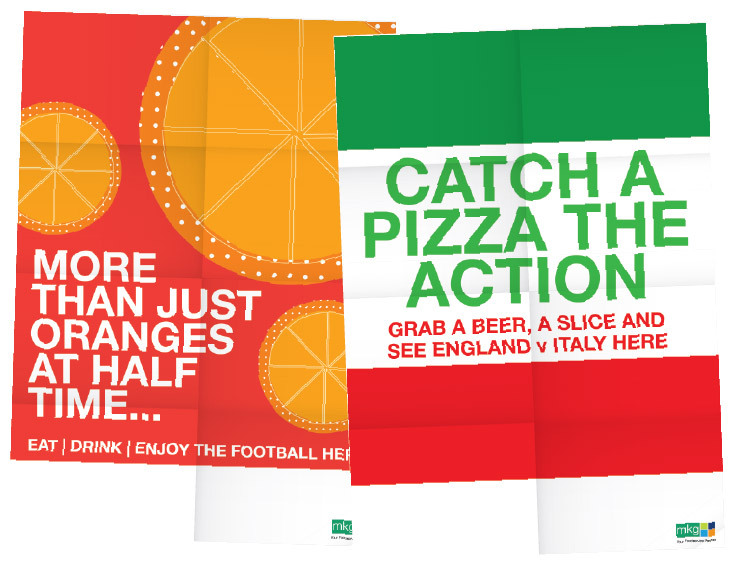 So we worked with MKG to create a pack to go out to these venues that included a series of posters that the pubs could display to entice customers into their establishments. This positioned MKG as helpful and knowledgeable about their customers industries, keeping them at the forefront of their minds. With a lot of big events there are tight regulations about what you can and can’t say so we made sure of all the legalities before going ahead with the project. Then it was a case of finding a way to communicate that would stand out in what would be an over saturated market. 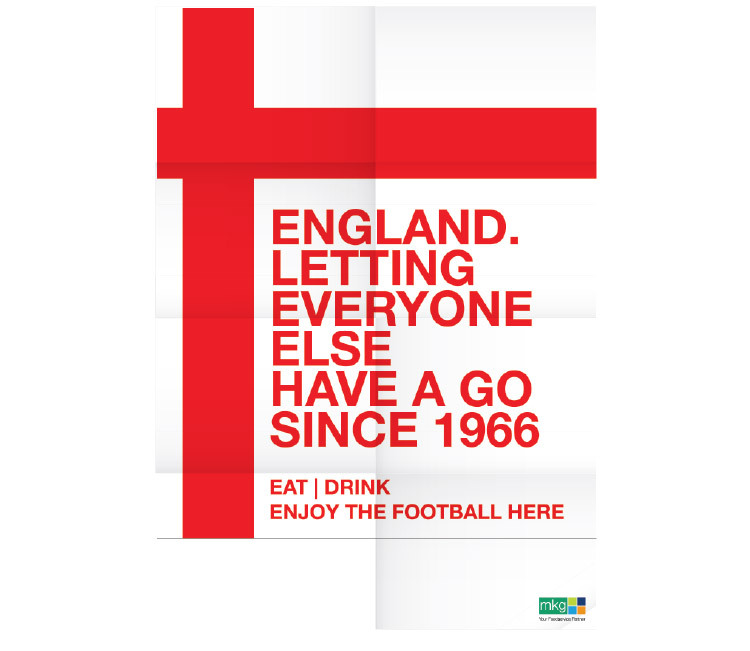 Simple graphics and humorous copy lines make these posters stand out, draw a crowd and remain memorable.